The SETUP installation method is provided as self extracting archive and as ZIP archive. 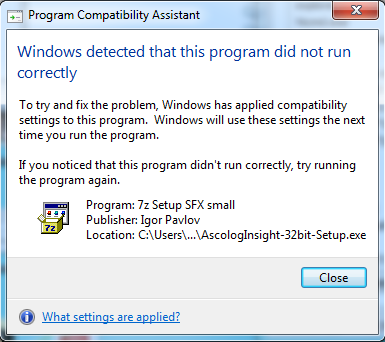 Ascolog Insight cannot be installed using the self extracting archive when you are running Avast Antivirus software. You can either stop Avast Antivirus during installation or you can use the ZIP archive instead of the self extracting archive. Avast Antivirus is running as Windows service. Consult a Windows documentation to learn how to stop Windows services.